Lanyards are used for different people in different ways. If you are looking for the one with high quality, Gift-wrap is the right place. This lanyard has the capacity to absorb light and then it glows in the dark. You can have it for some special occasion or for using it in a place with no light. You can order a minimum of 200 pieces and you can also get it customised through screen printing. Lanyards are worn on occasions and other instances. While simple lanyards are good, the glow in the dark ones is even better. If you are looking for a nice lanyard, the screen printing one that glows in the dark at Giftwrap is a good find. 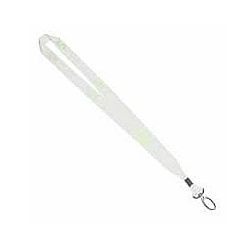 This glow in the dark lanyard works to absorb light in order to make sure the lanyard glows in the dark. The lanyard is made from petersham and is available in a lobster hook. Generally, for anyone who wants a decent lanyard that does a good job at glowing in the dark, this one is for them. It is unique and will ensure that it glows to facilitate ease for YOU.